Bromance movies are the genre that allows men to express their undying affection for their close friends. They’re the rom coms of straight men, a great chance to show masculinity and friendship in a different light. Below are our picks for the five best bromance movies with number one being are all time favorite. 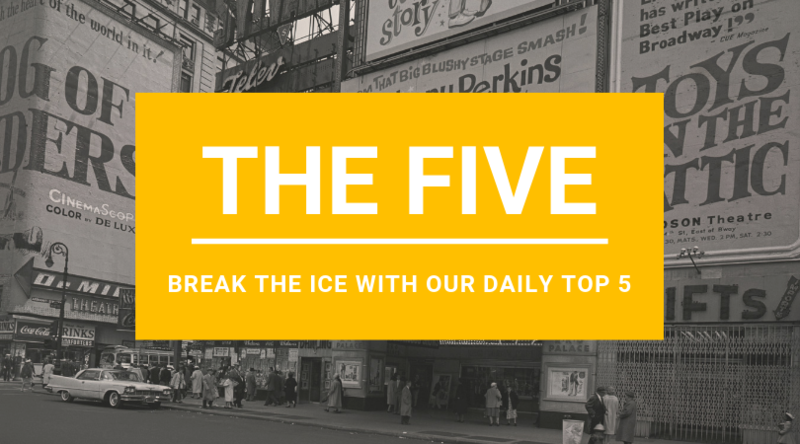 Some favorite that didn’t make our list are Dumb and Dumber, Bad Boys, Talladega, and Three Flavours Cornetto trilogy. 5. Wayne’s World – This quirky cult-classic that derived from an SNL skit is the parody we all need. 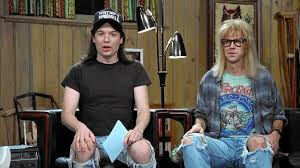 Wayne and his best friend Garth show us the true definition of what living in your parent’s basement really means. When a producer played by Rob Lowe discovers their late-night basement show he wants to take them to public television. We see the battle in professional versus personal life as Wayne and Garth try to navigate their friendship through it. The dopey duo also make the perfect Halloween costume for anyone looking to show off their own bromance. 4. White Chicks – Possibly the most creative take on what it means to have a bromance when two black cops have to impersonate two white girls. The cop duo our already known to be best friends so when they have to pretend to be sisters there is no denying they get pretty close. Struggling to hide their identity while also maintaining their lives as straight men, these two will have you laughing the whole time. The concept of gender identity is explored by the men in ways that will leave you baffled. Leaving us with the question, what does it really take to be a white chick? 3. Rush Hour – This bromance was so iconic they made a sequel. Two completely opposite men are stuck together left to form a bond reluctantly. Jackie Chan plays a Hong Kong Inspector who is left to work alongside LAPD detective Chris Tucker when the FBI doesn’t want his help on a kidnapping case. The men decide to take the case into their own hands and use their differences to form the ultimate comedic team. Catch up on their movies because a fourth one is in the works. 2. Step Brothers – The comedy that never gets old will leave you laughing until you cry. 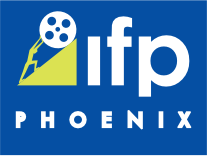 Will Ferrell and John C. Reilly play two jobless adults who live at home with their parents. When their parents decide to get married and move in together, the two grown men face the rivalry of teenage boys. Their extremely similar tendencies lead them to develop quite the relationship as they face the ultimatum of having to find jobs or getting kicked out. 1. 21 Jump Street – Our number one pick for best bromance is between Jonah Hill and Channing Tatum. They play cops who go undercover as high school students to find out who is soliciting a new drug. Their longtime relationship from bully and nerd to friends creates the ultimate backstory. 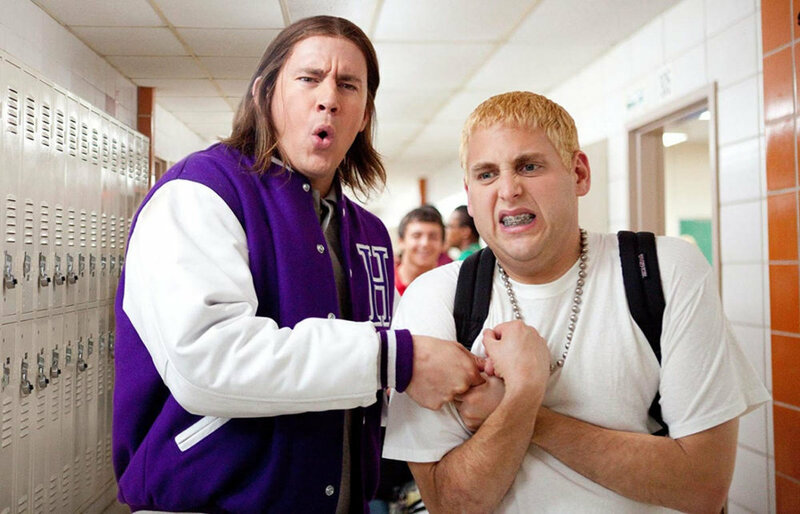 When Channing Tatum is no longer the cool guy he was in high school and Jonah Hill is, they struggle to not let their new identities get the best of them.